Island hopping company, Islands Banca Cruises (IBC) has extended its services to travelers flying Cebu Pacific (CEB) to attract more tourists to Cebu. The two established players in the tourism industry recently sealed a partnership that will involve IBC as part of Cebu Pacific’s Fun Tours. The partnership, which is running for two weeks already, has attracted a lot of inquiries and even bookings, mostly from domestic tourists, said CEB manager for Visayas sales Agnes Gupalor. Fun Tours is CEB’s “economical” tour package program that allows an individual to combine their lowest roundtrip airfare with the cheapest hotel accommodation in their desired destination and with recreational activities. These tour packages are designed to boost tourism. Islands Group marketing head Carlo Borromeo said partnering with CEB is part of the company’s desire to further professionalize the banca cruise business that has been for a long time considered a cottage industry. Tourists can avail of CEB’s Fun Tours online. If they book a flight to Cebu, they are recommended to go on island hopping through IBC, said Borromeo. 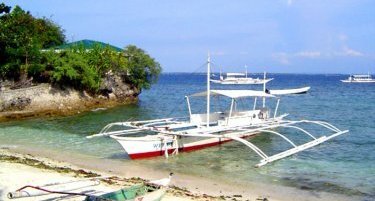 Tourists are offered island hopping in Talima Marine Sanctuary and snorkeling or fish-feeding in Gilutungan or island hopping to Gilutungan and sightseeing on Pandanon island with choices of food and options for transfers. Borromeo said they will offer a special rate for fun tours or about 20 percent less than the regular packages. The special package prices for Fun Tours range from P1,200 to P2,000, depending on the food the customers will order. With six bancas of different capacities, IBC, general manager Ktichie Uy-Canete believes that these are enough to cater to bookings. Borromeo said they are optimistic of the take-up of their services at Fun Tours, especially during summer. At present, most of IBC’s customers are families and friends from Cebu. Others are expatriates, balikbayans, companies and couples. IBC started operations in April 2008 and is based in Punta Engano, Mactan.